Today is the first day of my very favorite season. It is pouring rain outside (sideways) as I write this to you, but I don’t mind. I spent a good part of my childhood in rainy places, so I learned at a young age to not let less-than-sunny weather slow you down. This is also one of the reasons that I love, love, LOVE Fall! Some people love Spring or Summer, but Fall makes me feel more alive than any other season. "Skillet Apple Crisp" from America's Test Kitchen. Just click the picture to jump to the recipe! 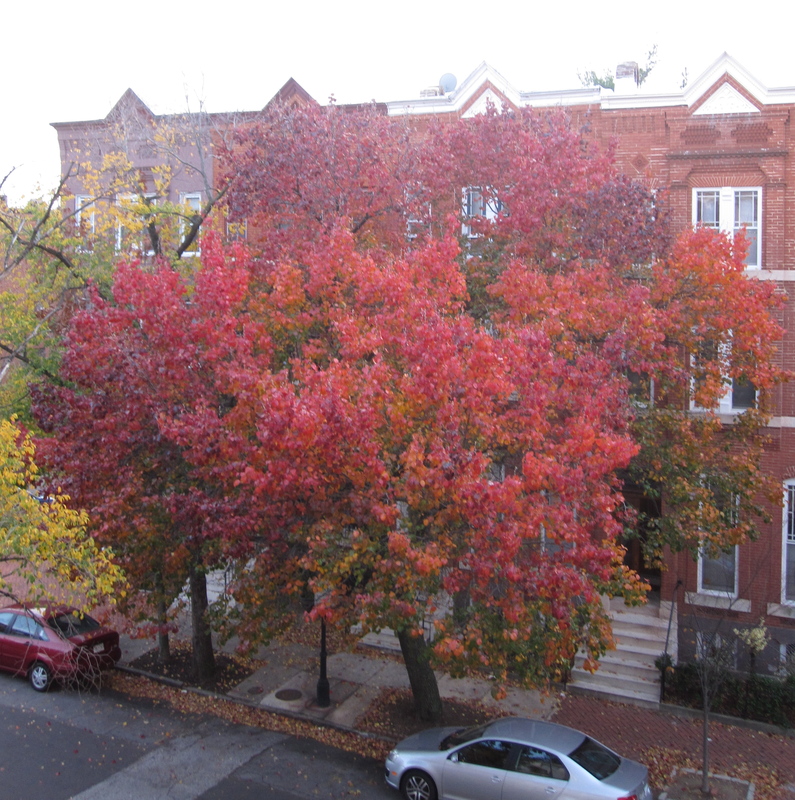 Last year's Fall view from my desk, where I write every blog post. 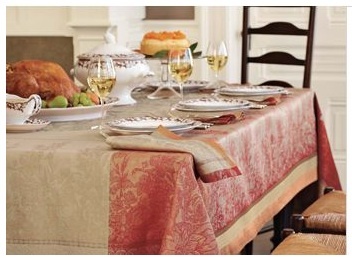 The arrival of Fall marks the coming of several important anniversaries in our home. Mr. CARO and I met for the first time in Fall, we got married in the Fall and my birthday…er…”falls”… in the Fall. Taking some time out to plan little gifts, celebrations and surprises for each other is part of our happy Autumnal routine here. This has absolutely nothing to do with interior design, but I like to keep it real on this blog and that includes sharing how we really live in our own home. Real life is what we do here. My birthday breakfast last year. 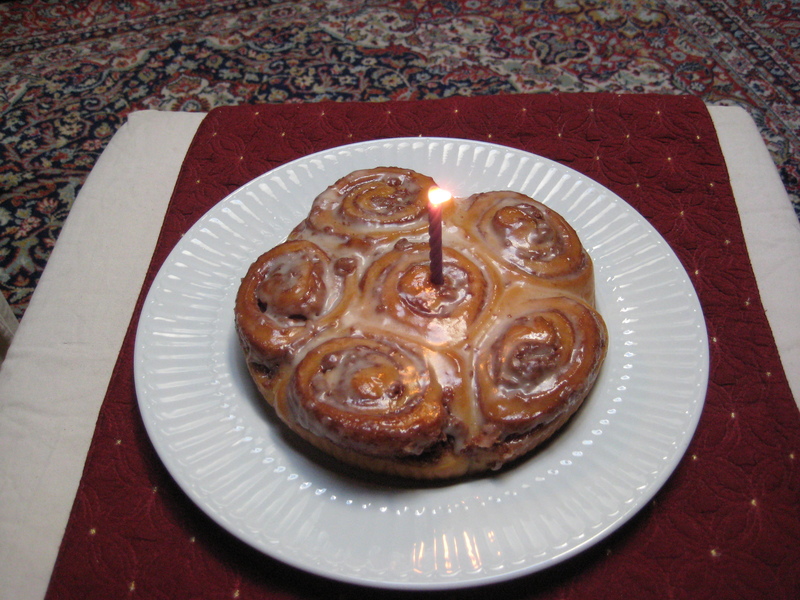 All birthday meals come with candles in our home. 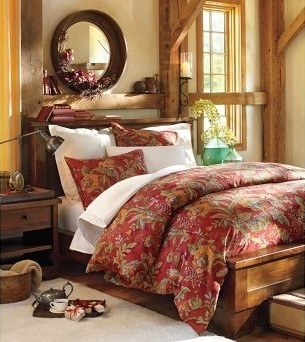 I change out the bed linens in our home shortly after the arrival of Fall. I’m not just talking about adding blankets or changing to warmer sheets. I carefully designed our bedroom color palette to work with several shades of certain colors so we could move with the seasons. When we make this change, it really feels decadent, like we’ve had a whole room make-over to match the weather. I can do this for you, too, and you can learn how right here and right here. The softness of a really good sweater against your skin is one of the things I like to rediscover every year. 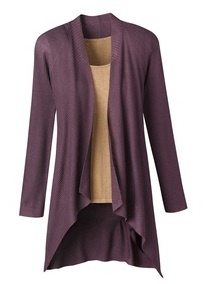 We switch out our closet in early Fall and all the shorts and lighter tops/shirts get replaced with good sweaters. Even though I hate to stand around a fold clothes and pack them into their boxes for the other closet, getting out the good sweaters can feel a bit like Christmas morning. Especially if, like I sometimes do, you manage to forget what clothes you own from season to season. (Borderline pathetic, but very true.) “Oh, I LOVE this sweater!” is a common shriek of happiness for this ritual in our home. Just as summer welcomes the action-movie blockbusters, Fall brings all of the new books from my favorite authors. I am a huge mystery fan, especially if it is set somewhere less-known to me because I love to see how people live in different places. The quiet of Fall seems made for great escapes to the pages of a great book and I am already making a list of all that I want to read! 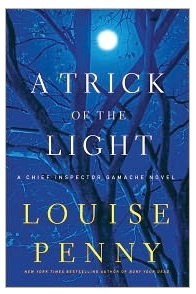 More sharing: My hands-down favorite author is Louise Penny, who writes a series of detective novels set in contemporary Quebec. Her beautiful settings are almost make me want to change my nationality! Seriously, I cannot recommend her books highly enough…start with her first book, called “Still Life”, and you’ll be hooked, too. Lest we forget all of the fun holidays in this great season, I love the excuse to plan and make lots of lists. I’m a big list maker (try to act surprised), which has served me very well in two rather different careers. List making with a fun celebration at the end of it is a huge bonus! Costume supplies, candy treats, holiday baking, seasonal decor, gift-giving, meal planning, day trips with house guests, travel arrangements… So much list making is REQUIRED for these activities. Sign me up and I’ll be there smiling! It goes without saying that if I ever combine all of the things/activities listed above into one day, or even one weekend, which sometimes happens, I am on cloud nine. As in, my-face-hurts-from-smiling happy. 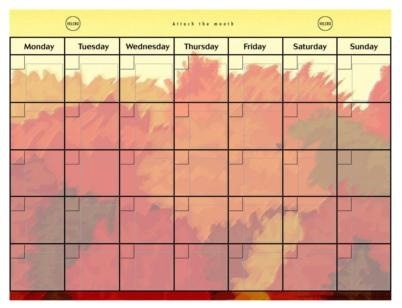 Are any of my favorite Fall things the same as yours? What do you love about Autumn that I don’t have on my list? Is anyone else craving hot chocolate right now? What are you looking forward to this Fall? Leave a comment, please, and share! Posted on September 23, 2011, in Lifestyle. Bookmark the permalink. 1 Comment. 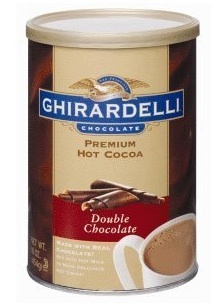 When I saw that hot chocolate, I wanted some….now! I love the changing colors, the cooler weather (don’t worry: you’re not the only one who is happily reunited with her favorite sweater). Fall is my favorite time of year, too. It’s not too hot. It’s not too cold. It’s just right.